Compulsive gambling stimulates the brain’s reward system similar to how drugs or alcohol affect someone who’s addicted to substances. It targets the area responsible for impulse control, causing it to fail in people who are already susceptible to addiction. For compulsive gamblers, the thrill comes from risking something of value in the hopes that the return will be of an even greater value. It is the rush that the gambler experiences when he or she wins that keeps him or her coming back for more. Needless to say, this dangerous affliction leads to a slippery slope that can destroy many lives. Gambling addiction is a real disorder. Like any other addiction, it can spiral the addict's life out of control and bring misery to those who care about him or her. The casual gambler is able to set limits on how much they can afford to gamble for pleasure and stick to it. The compulsive gambler may attempt to set a limit, but it means nothing as he or she is incapable of walking away from the game no matter how much he or she loses. In fact, the compulsive gambler will even step up his or her bets in a vain attempt to cover losses. Here are some of the top characteristics of compulsive gambling addiction. It is more commonly found in men than women. Young to middle-aged people are more susceptible to it than older people. People with mental health issues such as bipolar, obsessive-compulsive, or attention-deficit/hyperactive disorders are at greater risk. Personality traits like being highly competitive and having a low threshold for boredom are contributing factors. Having family members or close friends who are compulsive gamblers can be very influential. Here’s what to look out for if you suspect that you or someone you love is suffering from compulsive gambling addiction. Asking others for personal loans to bail oneself out of financial straits due to excessive gambling. Treatment is available for gambling addicts as it is for all who struggle with addictive behaviors. The tough part is getting the addict to admit to the problem. Without this admission, he or she will not seek treatment. The team needs to have a planning session prior to the intervention to develop a strategy they feel will be successful at convincing the addict of his problem and his need for treatment. In the confrontation, they should bring up the behaviors they observe to prove the addiction, the benefits of seeking treatment and the consequences of not doing so. 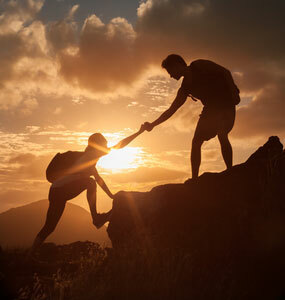 When a united front of concerned individuals address the addictive behavior of a loved one, they are more likely to be effective than if they each confronted the addict alone. If you or your loved one need any assistance, here’s our list of compulsive gambling programs within your area. Exposes the addictive behavior to the individual and encourages him or her to regain his or her life. This therapy concentrates on teaching alternative coping skills to reduce the urge to gamble. Targets negative and irrational beliefs and replaces them with a more healthy and positive outlook. This can be helpful for someone suffering from addictive behaviors. 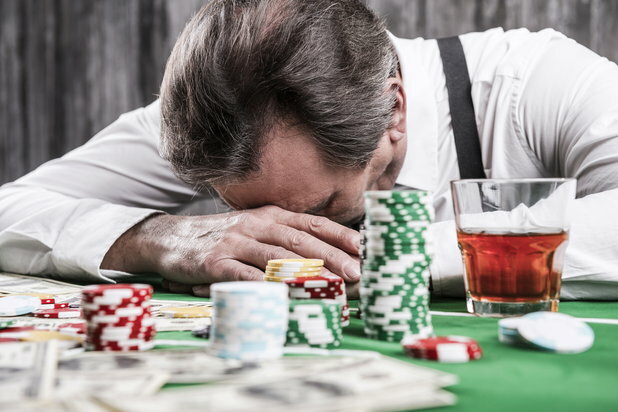 Often, compulsive gamblers also suffer from depression, obsessive compulsive disorder and attention deficit/hyperactive disorder, which can be helped with medication. Narcotic antagonists are a class of drugs used to treat substance abuse and can also be effective in treating gambling addiction. Groups such as Gamblers Anonymous, Gambling Reform & Society Perception (GRASP) or Women Helping Women can help the person stay strong amidst the urges. Apart from the ones mentioned above, there are a variety of treatment programs out there meant to suit each person's needs once they're ready. And if there is one thing anyone going through a tough time needs to know, it's that they don't have to struggle alone; Help is available.